Lent is a time for prayer, reflection, and contemplation. 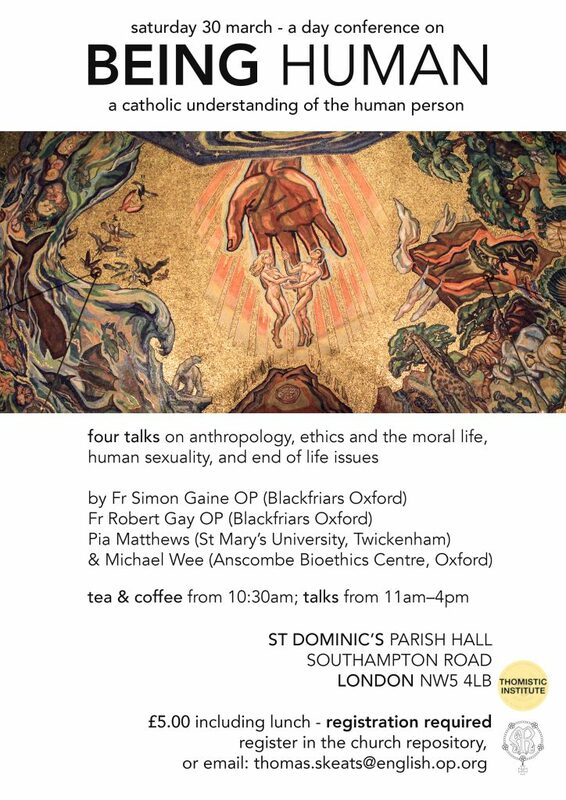 We invite you to come for this day of talks on what it is to be human, according to the Catholic vision of human anthropology, ethics and the moral life, human sexuality, and end of life issues. In the evening (after the 6pm Mass) there will be a beautiful concert of music for Passiontide: Haydn’s ‘Seven Last Words of Christ’ played by a string quartet in the Lady Chapel. Tickets are priced at £12.50 (£5 students), available online.